Posted on February 27, 2018 by Elina T.
The Divine Comedy was written by Dante Alighieri who grew up in Florence, Italy during the Middle Ages. During this time, there was great political tension, especially between two groups. The first was for the papacy and they were called the Ghibelline. The other, which Dante was a member of, demanded of independence from the Church, and they were called the Guelph. After the Ghibelline fell, the Guelph broke into two separate sectors: the white Guelph and the black Guelph. Although initially the white Guelph were triumphant, the black Guelph returned not long after and exiled many of the prominent white leaders, Dante among them. While in exile, a vision came to him, and this is when he wrote The Divine Comedy. There are three parts to the Comedy. It begins with the Inferno, which is probably the most widely known. The second book is called Purgatorio (Purgatory), and the third: Paradiso (Paradise). At the beginning of the poem, Dante describes how he has lost his way, and is lost in a figurative “dark wood”. Luckily, Virgil, Dante’s symbol for human reason, approaches him and explains that the only way he may return to the true way is if he makes the arduous journey through Inferno, Purgatory, and finally, Paradiso. Virgil acts as Dante’s guide through Inferno and Purgatory, but Beatrice (a character which represents divine love to Dante) leads him through Paradiso. This book was interesting for numerous reasons. For one, I had never before read anything remotely like it. The comedy is formatted in stanzas, each with three lines. Coincidentally, there are thirty-three cantos (Italian for chapters) in each book, and there are three parts (Inferno, Purgatory, and Paradiso). There are many other elements in this book which revolved around the significance of the number three which was very interesting. This book is packed with symbolism, analogies, and allegories. It was a bit difficult to wrap my head around some parts despite the fact that the writing itself wasn’t very extensive. I found it extremely interesting to think that all of this had come in the form of a vision to Dante. There is so much detail, and so many little complexities, which it makes it difficult to imagine how he could’ve recalled all of it in such illustrious detail. This book was originally written in Italian, and there are many different translations, which all differ slightly depending on the translator and their take on Dante’s work. The version I read was translated by John Ciardi. I found this version very helpful as it had summaries at the beginning of each chapter, which really helped me to better understand the story. Despite the fact that it is called The Divine Comedy, it’s not actually a comedy. The poem describes Dante’s journey through the three books as he found his way back to the true path. This book is fairly well-known, but I know few people who have actually read the entirety of it. It’s definitely not for everyone, but I still thought it was a very intriguing read. 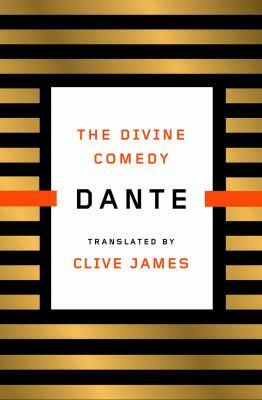 Dante Alighieri’s The Divine Comedy is available for checkout from the Mission Viejo Library.